Renowned Iranian director, known for his Oscar-winning film “A Separation”, categorically denied a recent report that claimed Qataris have produced or invested in his latest film, “The Salesman”, which is going to compete in the Cannes Film Festival. “Memento Company and I are the producers of the film,” Farhadi said, rejecting the rumours of Qatar’s role in the production. 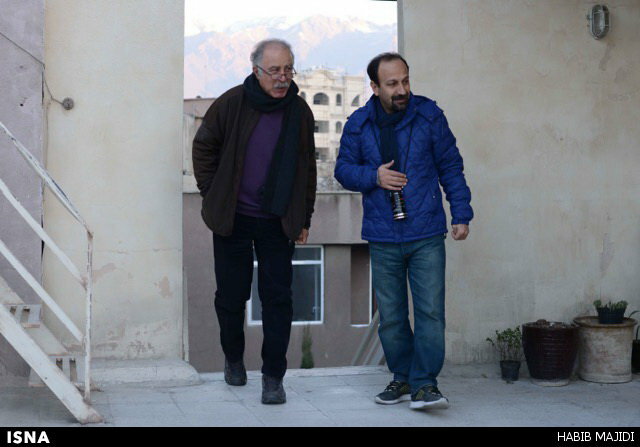 “After reviewing the scenario, they requested for making partial investment in the film, and finally, it was decided that Alexandre Mallet-Guy (the company’s director-general) and I co-produce the film,” Farhadi said in an interview with ISNA, as translated by IFP. “In final stages of filming, they managed to sell the film to different countries in advance. The TV broadcast, for instance, was sold to France’s Arte,” he noted. The reports that presented “Doha Film Festival” as the producer and investor of the film were prepared either out of ignorance or mischief, Farhadi said. “Each year, Doha Film Festival pays certain amounts of money to a number of films as a fund, and becomes an associate,” he said, stressing that the fund provided by the Qatari festival for his latest film “The Salesman” was not at all a huge amount compared with the total budget. “When Memento Company was introduced as a producer in this film, Doha Film Festival authorities contacted them and expressed their willingness to give one of their funds to the Salesman this year. And Memento accepted the offer,” Farhadi noted. On the film’s credits, it is mentioned that “The Salesman” is made in co-production with Arte France Cinéma and in association with Doha Film Institute, Memento Films Distribution and Arte France. Therefore, Farhadi emphasized, the main investment is made by me and Memento Films, and this is mentioned in the film’s credits as well.